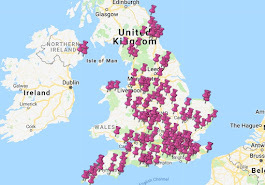 You may be wondering why I returned to Flatford Bridge Cottage today, when I have approximately 500 National Trust properties still to see. If you've been to Flatford, you'll know why. It's a stunningly beautiful little place. 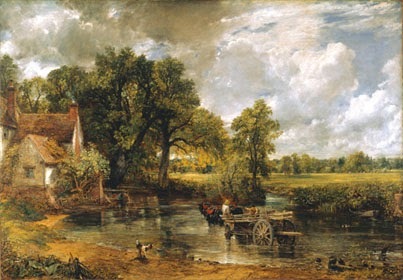 John Constable based many of his greatest paintings on Flatford and his scenes are still recognisable today, thanks to the National Trust who look after the buildings and countryside in Constable Country. It gets my vote as the most idyllic spot in Britain. I would gladly and willingly pay the National Trust £58 a year for the upkeep of Constable Country alone. In fact, I'd probably pay them ten times that amount, but don't tell them. There was one moment of heartbreak for me today. Last time I came to Flatford I helped bake the scones. 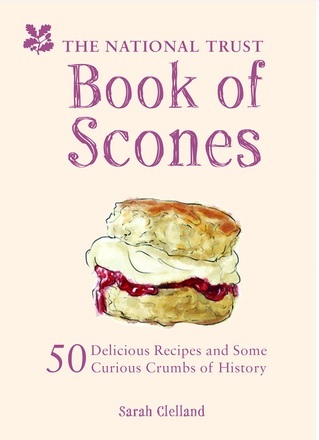 I remember being amazed at how the outside of the scone was so crisp, while the inside was soft and fluffy. Well, it turns out that this wasn't down to me. The fruit scone today was exactly the same. I've eaten around 60 National Trust scones since I last visited Flatford and I haven't come across any other scones that achieve crisp vs fluffy perfection. We had a lovely evening wandering around the area and the best night's sleep I've had in ages, because apart from the odd quack there wasn't a sound. So you haven't been to Flatford/Constable Country, go as soon as you can. If you've already been, go back. It is without doubt one of my favourite places in the world.